A geotechnical engineer is as much a civil engineer as they are geologists that can openly apply their sciences to improve civilization. For geotechnical engineers everywhere, soil and rock is their main business as it determines how expansive and impressive their projects can be. Each construction project offers a new opportunity to test different kinds of soil, tackle a challenge implementing various previously utilized tactics, and try new, innovative ideas to produce a new way to build a structure that’s more groundbreaking than ever before (pun intended). 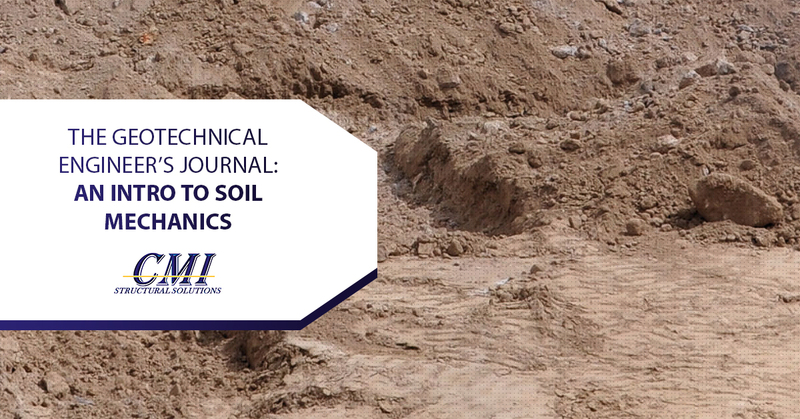 How do geotechnical engineers manipulate the soil and the earth to create and support new and interesting structures? Through soil mechanics. Any foundation in every building, beside the ones from the 1800s and before, were created by a civil engineer. Measuring the soil mechanics at a site allows the geotechnical engineer to create a foundation that can bear the weight of the load easily. Depending on the structural integrity of the soil’s composition itself, the engineer can make a determination about what would serve the foundation best. For example, hard, platy particle soil can easily support a building, and thus, less money has to be spent to create a large foundation for the building to sit on. Instead, the designer can create a plan that’s more economical. 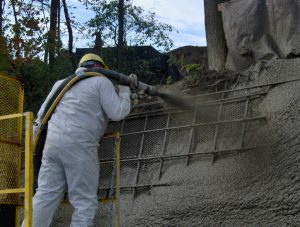 If the soil is soft and has a porous and permeable grain to it, the engineer will have to craft plans for a foundation that runs deep into the ground and requires, to a certain extent, the terraformation of the soft soil to make adjustments for the structural integrity of the building. As we previously, mentioned, buildings built before the science of soil mechanics was refined are likely to be less structurally sound, like the Leaning Tower of Pisa, which is generally the most famous example of this phenomena. You can see a defined tilt to the building, which is caused by weak soil in combination with a weak foundation. Though the tower is certainly charming and a favorite tourist destination, it’s hardly a structurally reliable example of civil engineering. You’ll find embankments everywhere in a city, though you might not recognize them as embankments. They’re used to construct a raised path to act as a roadway, land above ground level and even railways. They act as a protective measure against flooding and are perfect for raising the piece of land outside of the flood levels. In fact, everything that is built on perfectly flat land is likely to get flooded, and constructing embankments surrounding the building could easily prevent that. They’re often used to level out a single roadway and keep a road or railway level rather than have it form to the ever-dipping and -rising land. To construct the many needed embankments, you’ll need a developed understanding of soil mechanics before proceeding. Since the main component of any embankment is soil, choosing the right strength soil will be a key part of creating a successful embankment. The embankment will require an understanding of slope stability, compaction and consolidation. You’ll probably have to factor in soil seepage as well to ensure that your embankment serves its proper purpose for the long term rather than the short term. The cities of today and probably tomorrow will continue to require dams to be able to function properly. On a year-round basis, they’re known for providing water to domestic portions of their main areas and beyond. They also act as an extremely great way to provide a scenic park that offers fishing grounds and wildlife as well as support irrigation efforts. Lately, they’ve been employed as a source to gather hydroelectric power. Because of their vast uses and utility, they end up being one of the largest projects and expenditures for cities. Proper designs are incredibly important in this scenario, if they aren’t able to hold the water back, it could easily result in disaster for a city and the rest of the infrastructure nearby. With the use of soil mechanics, you can easily manipulate the earth to do your bidding when your mission is to properly hold the water back with an earthen dam. When you begin a construction project there are quite a few pieces to consider, but the important thing to take into consideration is the foundation. There’s a reason “a good foundation” is the metaphor for laying “groundwork” on any type of project that will put you in the right place with a good success rate. 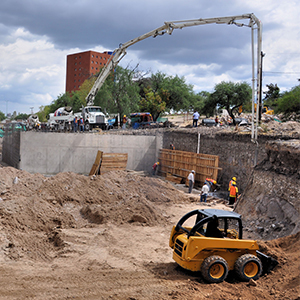 When you invest in the geotechnical design from our civil engineers, you’ll be hard-pressed to get your foundation for your next construction project wrong. We want to help you build your dreams up into realities that’ll last a lifetime. Lay a great foundation with the use of soil mechanics that are intimately understood by our highly successful crew of engineers. Reach out to us today to start making a difference at your next job site that will impact the integrity of your work for years to come.